When a single hoop simply will not do, these versatile silver hoop earrings will drench you in modern design and luxury. With a nod to ancient talismans and sacred spaces, these John Hardy earrings from the Classic Chain collection feature the woven chain motif, expressing the duality of nature, and the mystery of the infinite circle. 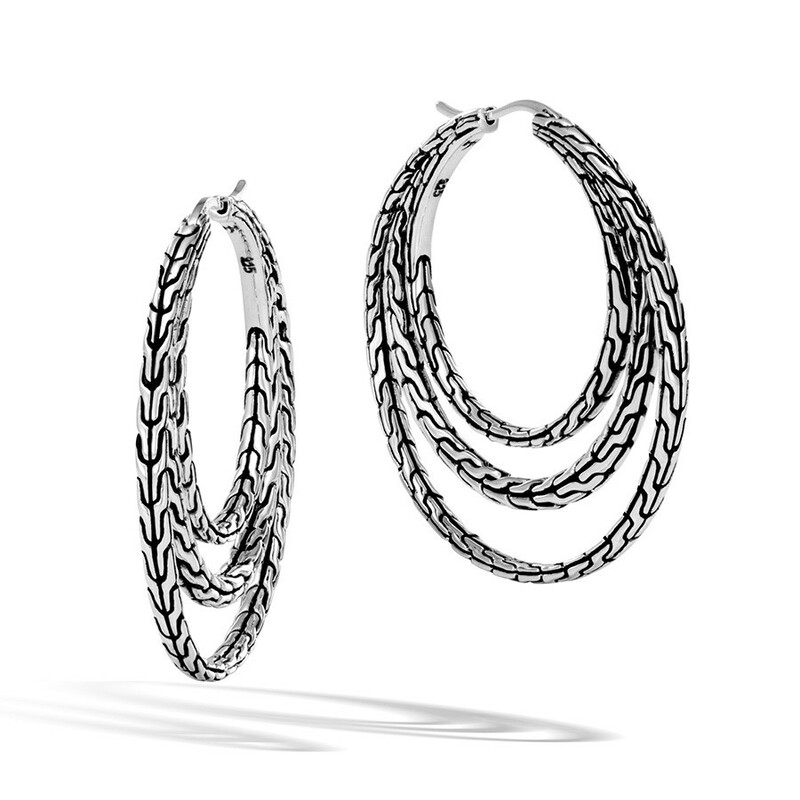 Crafted in sterling silver, the slightly flattened hoops are nestled one within the next for a truly stunning design. We know you’ll treasure these earrings as they provide you many years of joy.